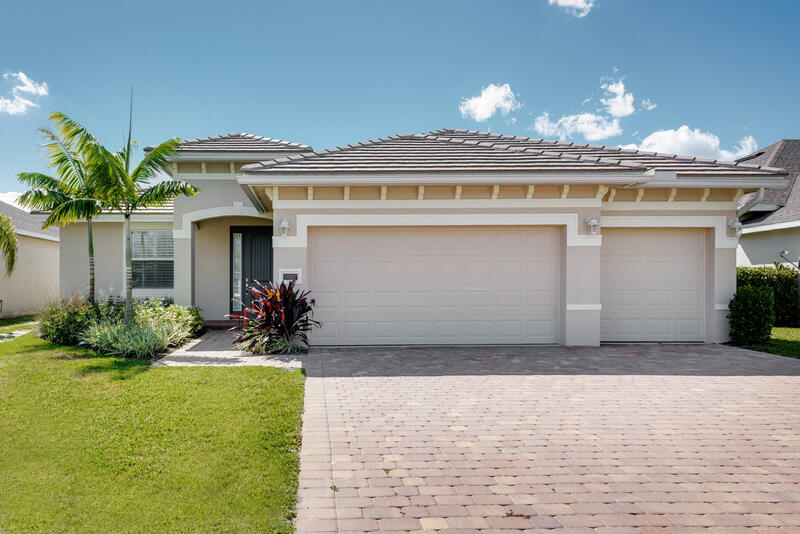 Newer Built (2015) Home with 4 Bedrooms, 3 Full Baths & 3-Car Garage on Private Cul-de-sac Street in the Very Desirable Pines Community in Jensen Beach. Custom Heated POOL & SPA with Travertine Pool Deck & Screen Enclosure Completed in 2016! Outdoor Living at its Finest! This 2, 415 Livable Sq. Ft. One Level Home Has Many Interior & Exterior Upgrades... IMPACT GLASS on ALL Doors & Windows, Spacious Kitchen with Granite Countertops, Stainless Steel Appliances, Tile Backsplash, Tile Flooring Throughout, Plantation Shutters, Crown Molding in all Living Areas & MUCH MORE! Very Low HOA Fees! Minutes from the Beach & Shopping! Move-In Ready! MUST SEE!